Emily, the feline that survived an epic journey across the Atlantic trapped in a shipping container from America to France. Scarlett, the brave mother that went into a burning building five times to rescue her kittens. Oscar, the care-home cat that predicts when residents are about to pass on and comforts them in their final hours. Whether they’re testing the boundaries of their nine lives or demonstrating unusual talents, cats are always full of surprises. In Super Cats, prepare to meet the most surprising of all. 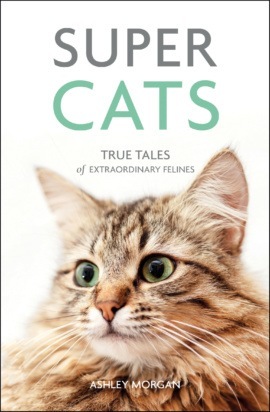 Discover loyal moggies and extraordinary survivors in this heart-warming collection of true tales, and marvel at the astonishing powers of these remarkable animals.